Acquiring components analysis are important procedures to ensure that there are no violation sunder the Pharmaceutical Law to introduce any prohibited components under the Japanese customs. To ensure that the components analysis are to standards, it is important to produce a catalogue that lists the various “negative” and “positive” components that the cosmetics may have. Having understood the importance of the components analysis, it is also to your advantage if a components analysis is conducted before any entry requests, because it would definitely help expedite the process and to gain clearance under the Japanese Pharmaceutical Affairs Act to import cosmetics into Japan. The Pharmaceutical Affairs Act of April 2005 was introduced to help manufactures identify their responsibilities and to enhance their product qualities and consumers’ trust with their cosmetic products. (“Seizou Hanbai-Gyo” in Japanese) License for distribute imported products in Japan Take final responsibility of product’s quality and safety. 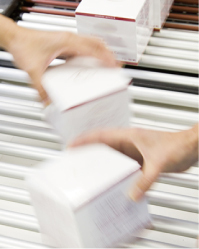 At Bloom, we have both the licenses to import and to labeling/packaging cosmetics. It is also important to note that at any given circumstances where combinations of cosmetic produce are made, all ingredients/componentsLabelling is to be displayed. The labelling of cosmetic components/ingredients started off as a set of regulations to strengthen the Japanese Pharmaceutical Affairs Act. It is essential to strengthen the Japanese stansdards,because it could be easily adapted as an international standard. Thus, with the practice of ingredients labelling, it is necessary that companies who are manufactures of cosmetic products to comply with the safety regulations. As such, consumers will be able to make better choices while purchasing their preferred products. In April 2001 and in accordance to the Health Ministry’s announcement number 331 of September 2000, both ‘negative’ and ‘positive’ listings are to be understood comprehensively (such as preservative, ultraviolet absorber, tar coloring, or banned composition preservatives). In addition,if the procedures were followed accordingly and do not violate any of the Pharmaceutical Affairs Act, according to the cosmetic standards, both negative and positive listings can be combined underthe company’s responsibilities of quality and safety assurance.